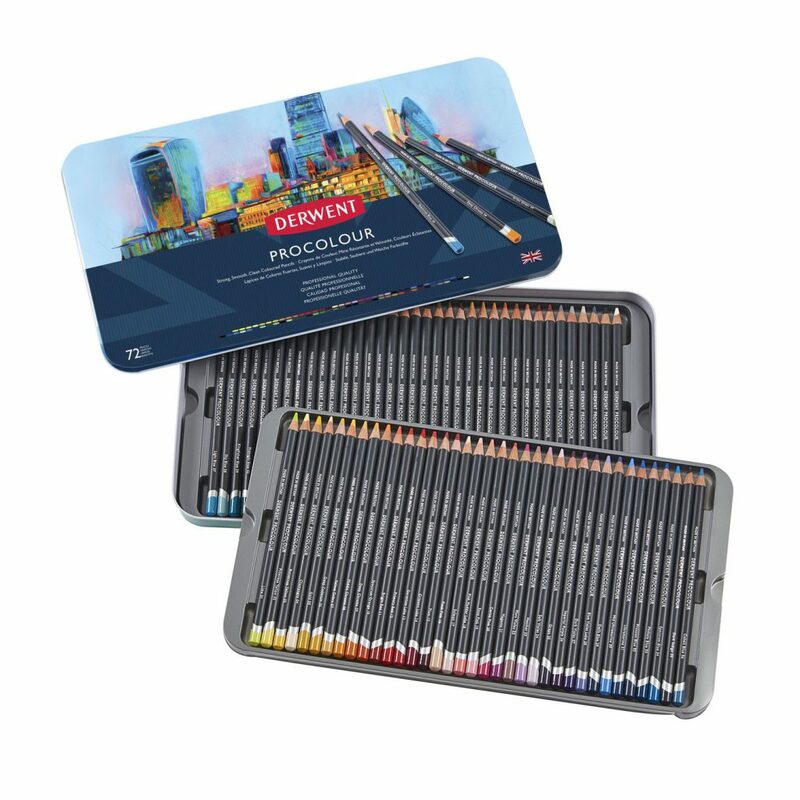 I’ve been happily using Derwent Coloursoft pencils for several years now in my professional art practice: either fine artworks for exhibition or art instruction books and videos. Right from the start, when I was first invited to test the new Derwent Procolour range I was curious about the differences between these pencils and Coloursoft. I wondered why a new range was needed at all. I was in for quite a surprise though. The discovery of Procolour has been very inspiring for me and has taken my coloured pencil artworks into a whole new area that I didn’t expect. I am creating art in a more whimsical style for my art licensing career and children’s picture book illustration portfolio now. I am excited about the variety of subject matter that has opened up to me as a result of adding Procolour to my collection of favourites, alongside Coloursoft. It’s the really fine application that I can achieve, with the strong tip and bright colour that I feel complements Coloursoft the most. I also really enjoy the feel of these pencils when stroking the paper – it’s so effortless to use. The more I explore Procolour the more it becomes obvious to me that Derwent have created a pencil range that is an absolute perfect partner for Coloursoft. There are some very specific differences that make both of these pencil ranges equally valuable and they complement each so well. That’s why I am using both Coloursoft and Procolour in my professional art practice, each range of pencils for a different reason. Let me share with you some important differences that I have personally discovered between these two coloured pencil ranges after using Derwent ProColour for almost 6 months now. The selection of 72 bright, beautiful colours are plenty enough to create a huge array of subjects. 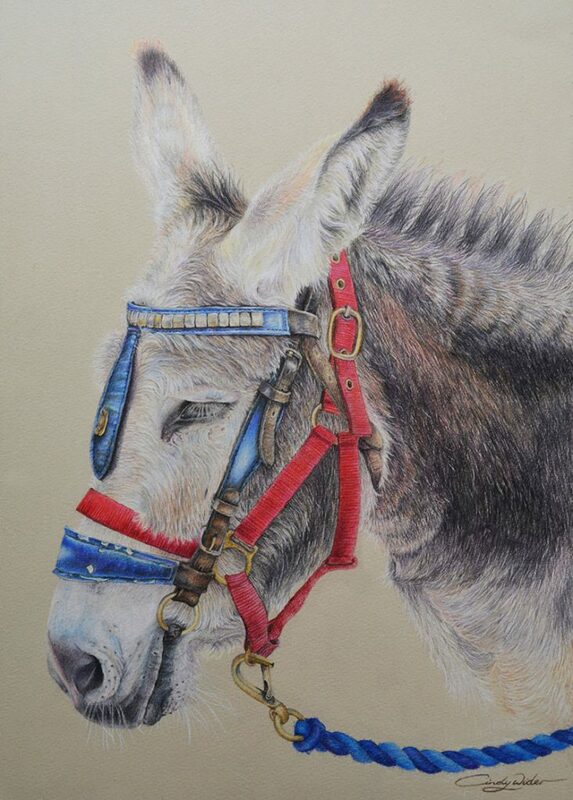 Like many professional coloured pencil artists, I love to layer and create my own colours as well. The gorgeous vibrant pigments in this range are such a joy to work with and perfect for hyper-realism and bright, shiny glossy subjects. With 72 gorgeous colours that are slightly different to Coloursoft, these ranges both complement each other to expand colour choices into a different direction. They are great for subjects that require slightly more naturalistic and subtle hues, but they are certainly not dull at all. They are very bright compared to most hard-tip pencils because of the high levels of pigmentation, but just not quite as vibrant as Coloursoft, making them a perfect companion. The feel of the pencil stroking the paper is very important to me because some artworks take up to 120 hours or more and I need to enjoy the journey not just the result. Coloursoft are lovely pencils to use and I am happy with the feel, although it can be a slow process in the early stages of working in my rich painterly style because I have to maintain a really sharp tip at all times. I gradually build up textures, hues and tones with a super sharp tip before burnishing heavily afterwards using a blunt tip in the final two layers. The results are so worth the extra time it takes though; it’s important that I am meticulous in those early layers. One of the main differences that I have noticed between this range and Coloursoft is the feel of the pencil. Procolour glides so effortlessly and I just love the experience of using these pencils. It’s so relaxing and no work at all to fill the paper. I can effortlessly create a beautiful fine application even on more textured papers such as a lovely NOT Pressed watercolour paper which I like to use. In this range of pencils, the tip is really firm and I can even impress the paper if I choose to, which is very exciting! The markings that I can achieve are super fine, clean and bright in colour. 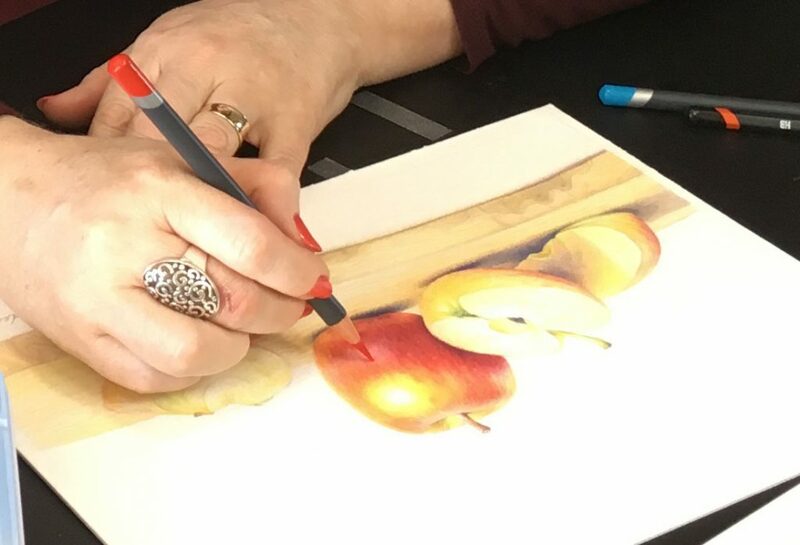 The pencil travels quite a long distance before needing sharpening so this makes them perfect for fine fur and other delicate details that require repeat application. With both of these samples, I have prepared my pencils to a super long sharp tip. The layering ability of Coloursoft is very good, I can build up several layers using a sharp tip (on most papers.) As you can see in the examples above on the left side, the results are slightly more textured than ProColour. The blue samples have two layers applied onto NOT pressed watercolour paper. The Yellow-green samples have two layers of yellow added over the top of the blue layers. The layering ability is excellent especially on slightly textured papers and in the samples above (on the right side) you can see that the result of the application with Procolour is much finer but slightly less vibrant than the Coloursoft. I have found that I can build up more layers with Procolour than I can with Coloursoft when using textured paper, and the results are a much finer application. 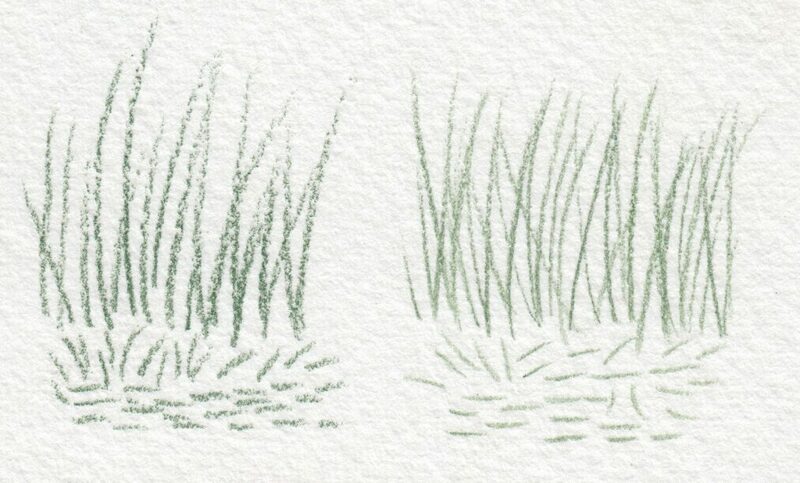 For this comparison below, I have applied just one colour to the paper using a slightly dull tip on both pencils. The Coloursoft sample is on the left and the Procolour on right. You can see the burnished area on the left side of each of these samples. This range of pencils can easily burnish to a gorgeous rich, bright and vibrant colour by using a dull tip and medium pressure. There are quite alot of loose particles of pencil chippings that need brushing away constantly when I burnish with this range. This range also burnishes extremely well using a blunt tip and pressure on the pencil with barely any chipping so hardly any brushing is needed at all. The resulting colour is slightly less vibrant, but still very bright compared to many other harder pencils. It’s not often I find a pencil range that has a hard tip for very fine details yet also capable of burnishing. In this example you can see the results of blending Coloursoft with the stump (left side in the image samples above.) 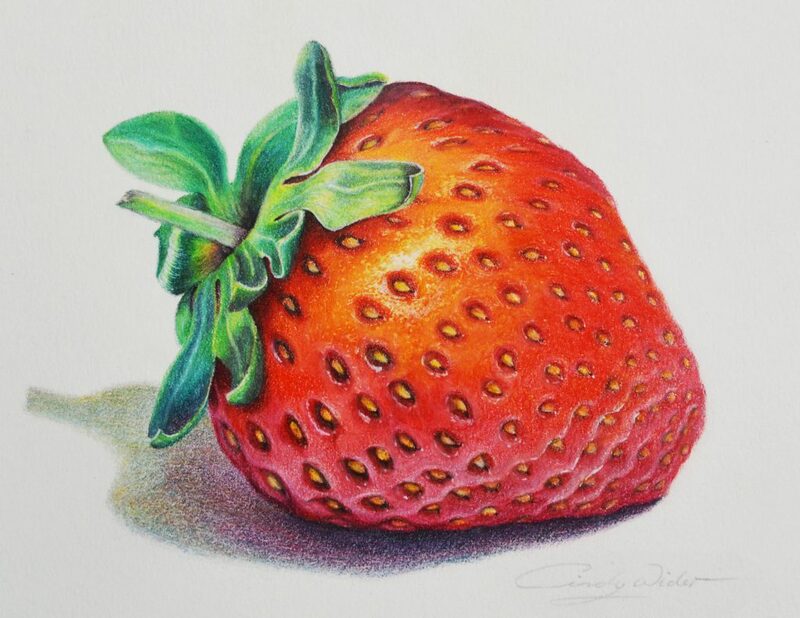 As you can see, the blending hasn’t fully softened the entire area and some texture of the coloured pencil still remains. Coloursoft doesn’t blend as well with a stump so I would use the Derwent Blender pens instead to soften the pigment if I were aiming for that affect. One of the surprising discoveries that I made during the early days of experimenting with Procolour, was that it blends beautifully with a stump, almost like a pastel but it holds on to the paper much better than a pastel. This is so exciting because I can create wonderful backgrounds like soft snow with delicate transitions in skies and it really does save so much time. It’s great fun too! Portraits, Fine Fur; Cats, Dogs, Birds and feathers, Hair, Matt Fabric, Fruit, Flowers, Leaves, Grass, Seascapes, Wood, Skies, Snow scenes. Cindy, thank you! I shall send off for some to try having read your review! Thank you for the comparison Cindy! Fun to see those photos side by side! How are you handling the lightfast issue with them, given that you use them professionally? I think there’s somewhere around 32 of the 72 line that fall at 5 and below on the Blue Wool Scale, which essentially puts them out of use for professional work, unless you’re using them only for selling prints? I love what I hear and see of the new line, but considering that Coloursofts lightfast ratings far exceed these ProColours, the predecessor still wins, in my opinion. 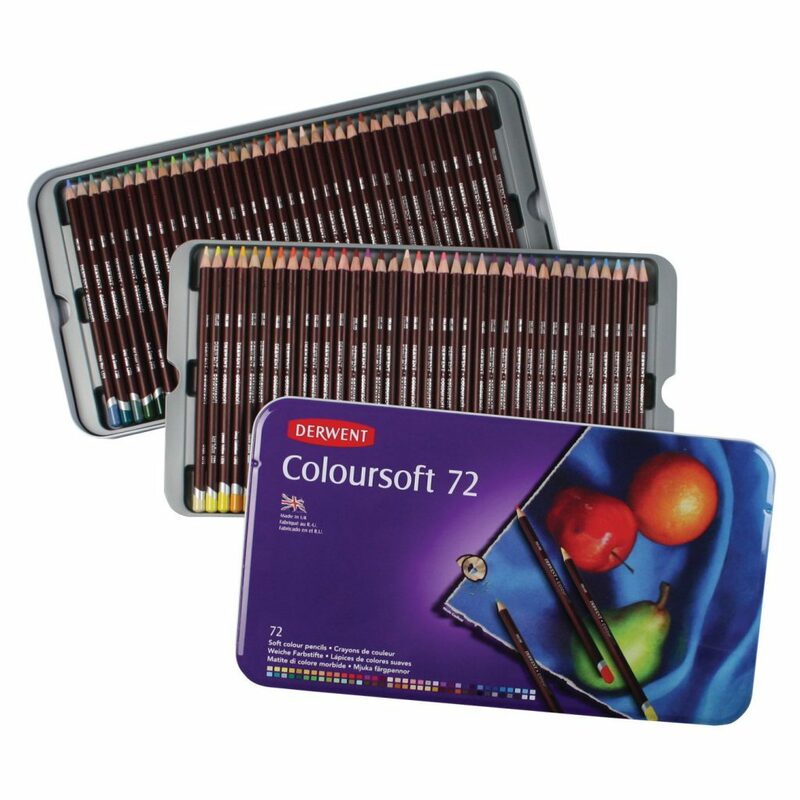 Thank you very much for your detailed review of Derwent Procolour and Coloursoft pencils. You have explained the differences very well and I’m pleased to say I have also found the Procolour a delight to use and I think they are now my preferred pencil (a conclusion I came to before reading your review).